“Huh,” said Willie. “That’s hard,” said Maria. The other “Can Dos” just mumbled each other’s names. Maybe you can help them line up. Here are their names. List their names in alphabetical order and that is how they need to line up. It was the first day back to school after the the Thanksgiving holiday and the “Can Dos” were having a hard time settling down and doing their work. Miss Pat decided to make a game out of the spelling lesson and handed out a word jumble for the class to play. Why not play along and see how you do? 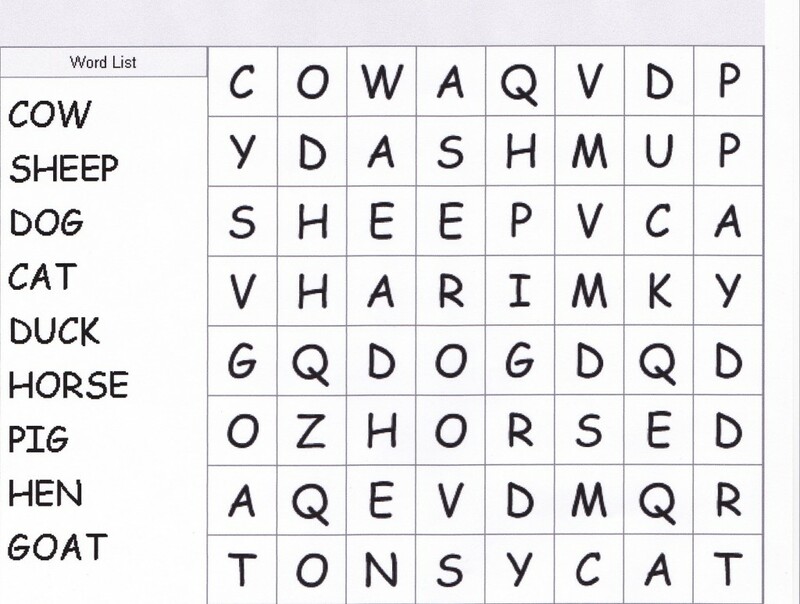 Just print out this post and use a pencil to circle the words you see that match the words in the word list. Miss Pat could see that the “Can Dos” were getting restless the closer it got to the Thanksgiving Day and a four-day weekend. She decided to give the class a matching game Thanksgiving Quiz to see what they knew about Thanksgiving Day. She also thought it was a good way to help them build vocabulary while learning how to spell things related to Thanksgiving. Boys and Girls, why don’t you play the Thanksgiving matching game along with the “Can Dos”. Just follow Miss Pat’s directions and see how much you know about Thanksgiving. Miss Pat asked,”Do you know that animals have homes”? Some of the “Can Dos” looked confused, then Hector raised his hand and said,” Yeah, cats and dogs and fish and gerbils and hamsters make their homes with us, because they are our pets.” He looked so proud of himself and the class all nodded their heads in approval. Orrie raised his hand and When Miss Pat called on him, he said,” Cows live on a farm.” Miss Pat nodded, “That’s right, Orrie, they live on a farm but what do they live in on the farm? Where to they stay when it is raining or cold or when it is night time and time for sleep.”? Once the “Can Dos” were at their computers, Miss Pat gave them them directions for finding and playing the two new matching games. She reminded them that these games would help with vocabulary building and spelling as well as helping them learn where the animals live. Why don’t you play along boys and girls at home? Just follow these directions from Miss Pat. Miss Pat knows that many of the “Can Dos” are not fans of vocabulary lessons. She also knows that learning learning new vocabulary words is important. The big question for her…how to get the “Can Dos interested and excited about learning the names of people places and things and to spell them correctly. Miss Pat tried using flash cards and other word games and some of the class liked learning vocabulary that way, but it wasn’t enough. So, she thought and thought and then it came to her. She would create matching games on the computers and let each “Can Do” match the name of an object with the object. The game would tell each “Can Do” if they got it right or wrong. That afternoon, when the class usually had vocabulary time, Miss Pat asked all the children to go to their computers and turn them on. The class was thrilled because they thought…computer time instead of vocabulary time. They were so surprised when she had them go to their computers and go to the “Can Do” Club House where they found two new games. The first was called vegetables and the second was called fruits. The class grew quiet as they played the games and checked their answers. Miss Pat waited until everyone was finished the games and asked, “How did everyone do?” Hector raised his hand and said, “I have to play this game a lot. I didn’t do so well.”Some of the other “Can Dos” shook their heads in agreement. Of course Orrie did well, not perfect, but well, but then again he always does. Boys and girls reading this post, why don’t you see how you can do? Go to the “Can Do” Club House, choose games, look for the games called fruits/vegetables and start playing. When you are finished playing both games and check how many right answers you got, why don’t you use each of the objects you matched correctly in a sentence?